This is a family man's grass. E-Z on mowing, E-Z on water, and E-Z on maintenance. It is deep green in color with a medium leaf texture and open canopy. This grass tolerates adverse wear conditions, and also recovers well. It is an excellent choice for large areas where rotary mowers are used. Perfect for the care-free mind! 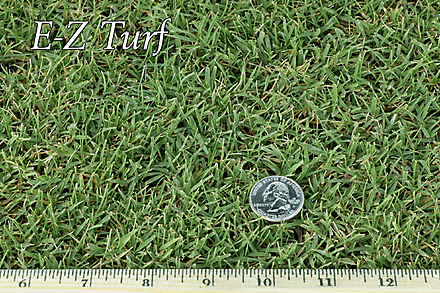 West Coast Turf's E-Z Turf is the best midiron on for your home, and Arizona's favorite low maintenance grass.